Dates – Make a positive first impression or start the date off right with a beautiful set of fresh flowers. Anniversaries – Choose some fresh seasonal flowers that represent your relationship well and help to commemorate a special day! Get Well Soon – Keep in mind that you don’t want flowers that are overly fragrant if someone is in a hospital. Valentine’s Day – This holiday simply isn’t the same without a fresh set of flowers for your significant other. Weddings – There’s no better way to celebrate a sacred union than with flowers. Funerals – Dealing with loss is always tough but flowers can make the burden less for people to bear. Birthdays – Another trip around the sun is a great chance to celebrate with some fragrant and beautiful flowers. Showing Sympathy – Flowers provide a delicate and sympathetic gesture for people that are going through hard times. Mother’s Day – Moms deserve nothing less than the best for their special day! Saying Thank You – Flowers convey infinite gratitude and are always appreciated. Quality is paramount. You don’t want to gift flowers that are not the freshest or are silghtly damaged. We believe it is a necessity for our customers to receive the best, a selection that will last as long as possible at the highest standard. The expertise and experience we have at Bedford Village Flower Shoppe, the premier flower shop in Katonah, NY, is second to none. Visit us and see the unique and high-end flowers and arrangements we offer. Flower arrangement is an art and, at our flower shop in Katonah, NY, we demonstrate this every day for our customers. Time and time again, we are recognized for possessing an eye for detail, creating the perfect flower arrangements, which separate us from the rest. It is not just arranging flowers together and sticking to set plans, it is about finding the best match for whatever need our customer has, allowing the flowers to be shown in a way which will catch the eye of anyone who is in the same vicinity. 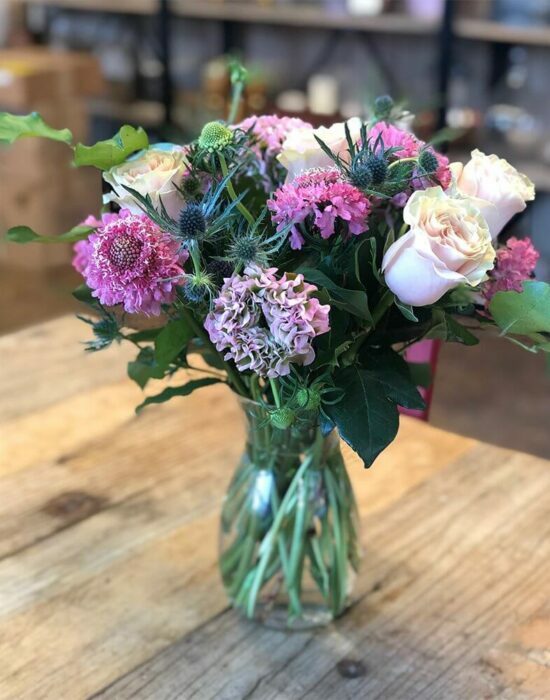 At Bedford Village Flower Shoppe, we can tailor a flower arrangement that is perfect for whatever you need, whether it is for a set occasion, someone’s favorite colors, added names and other accessories. We can prepare an arrangement which can accommodate for any need you have.